Unlike past shows, RxSafe is bringing its game-changing strip packager, the RapidPakRx™. But that’s not all that is “new and different” at PDS. First, PDS is going to be addressing a topic never done before at a pharmacy conference, Ethical and Effective Influence. Many independent pharmacies have stellar ideas to help patients and prescribers, yet many of them struggle with getting traction. A pharmacy owner needs buy-in from their employees, the prescribers and their patients. That can be a tough feat. At PDS 2019, attendees are going to discover the communication techniques that are critical for success. These skills will equip you and your team to be able to implement your strategies with greater ease after attending PDS 2019. 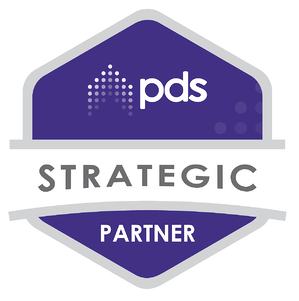 Second, RxSafe -- which has always had a major presence at PDS -- is now honored to partner with PDS as a Strategic Partner. What does that mean for you? It means that PDS members can get unprecedented savings on the RapidPakRx (we can’t tell you the exact amount, yet, but it’s five figures). NOTE: You will have to attend the PDS Super-Conference to take advantage of show-special pricing. Third, as a PDS Strategic Partner, RxSafe will be extending a special invitation to PDS members who are RapidPakRx owners, to join a new program aimed at revenue growth and customer acquisition. Again, we can’t share the details yet, but PDS Super-Conference attendees will have a front-row seat to the unveiling of a unique opportunity to catapult their pharmacy’s visibility -- and viability -- for years to come. Never before has PDS forged a strategic partnership with a pharmacy automation vendor. We are truly honored and humbled to have been selected. Put another way, the market has never been more primed for adherence, and your pharmacy has never had a better opportunity to deliver exactly what your customers want: all the convenience and economy that PillPack advertises, but with all the care and service that a local pharmacist embodies. You’ll also learn about RxSafe’s medication adherence strip packaging marketing services, known as PakMyMeds™. We can assist you in your marketing efforts with packaging and collateral to make adding an adherence program to your pharmacy’s offerings as simple as possible. If you’re still unsure about attending PDS 2019 this year, don’t forget, PDS has dedicated 20 years to researching, developing, eliminating, debunking, and producing the best pharmacy strategies that will take your pharmacy from surviving to thriving. The PDS Super-Conference is more than your typical "Rah! Rah!" pump-you-up pharmacy conference. It's three days of actionable strategies and content. In fact, PDS has a strict "no theory" policy when it comes the conference. PDS wants every attendee of the 2019 Super-Conference to take away notebooks full of actionable growth strategies that can be applied the second you get back to your pharmacy (maybe even while on the plane!). Click here for more info. To learn more about the RapidPakRx, visit our product page, schedule a demo with your salesperson, or call now at (877) 754-1285.